The Surf Life Saving Prize Home draw 180 is here! 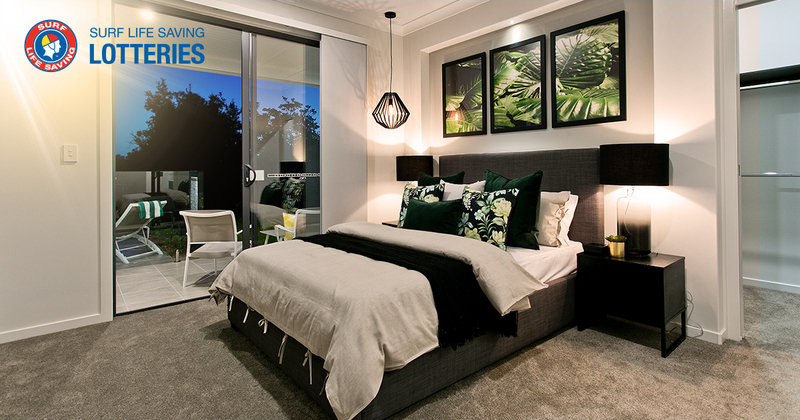 Win a Bribie Island home with fairway views plus gold bullion with a total prize value over $1,001,399. Just imagine what you could do. 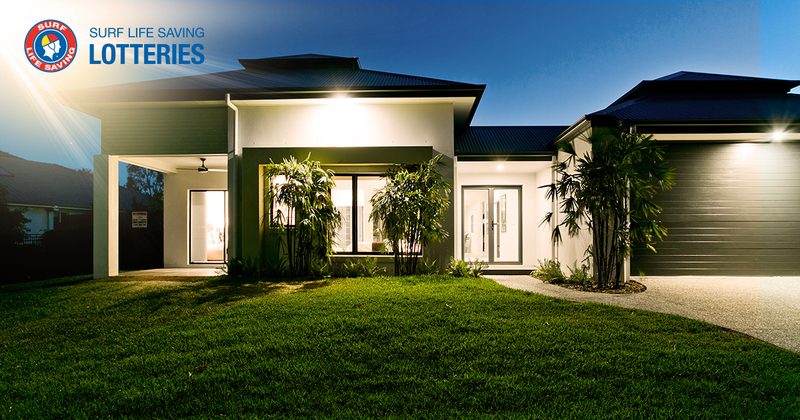 Whether you live in it, sell it, or rent it out, a prize home like this could change your life. 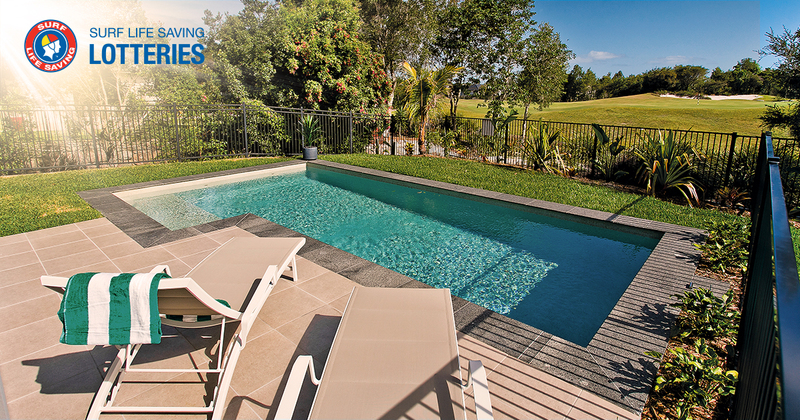 The perfect Queensland lifestyle is waiting for you! All you have to do if you win is pick up the keys. You’ll feel right at home in the large single-storey house with a private in-ground pool overlooking the golf course. Each of the three bedrooms has its own private ensuite. The minor bedrooms have a shared patio and study area – perfect for children or guests. There’s even a separate lounge room which could be perfect for a potential theatre room! But that’s not all. The prize includes $5,000 gold bullion to cover the first year of council rates and body corporate fees. Plus an additional $10,000 gold bullion as a bonus. 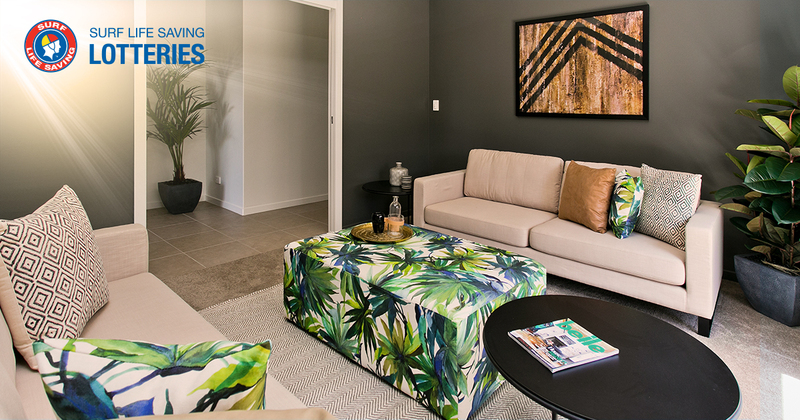 Designed and furnished to the value of $131,399, the Bribie Island prize home is located in Bribie Island’s most exclusive address – Pacific Harbour. This gated community gives you access to first-class facilities including a private country club, tennis court, pool, gym, and spa. Meanwhile, Bribie Island itself is under an hour’s drive from both Brisbane and the Sunshine Coast. It’s also well connected with a bridge between the coastline and the Island. You’ll never be short of things to do and see on beautiful Bribie Island. As you cross the Bribie Island bridge, you have captivating views of Pumicestone Passage. A haven for those seeking a sea change. Young families, water sport enthusiasts and nature lovers! Bribie offers a compact range of experiences for all age groups. Extensive national parks, some with camping facilities, a choice of surf beaches or calmer protected beaches, and some of the best fishing to be found. Plus restaurants and other entertainment. What else could you need except a place to call home at the end of the day? If you do visit a Bribie Island beach, make sure you swim between the flags. Australia has a massive 36,000 km of coastline. Volunteer Surf Lifesavers from 311 clubs around the country assist more than 100 million beach visitations each year. It is only through the tireless efforts of our Surf Lifesavers that our beaches are kept safe. The cost of providing this service is only possible thanks to the wonderful support of the community. Funds are directed into four main areas requiring ongoing funding. Rescue gear and equipment, Surf Lifesaver training, first aid supplies and surf safety community education programs. More tickets, more chances to win! 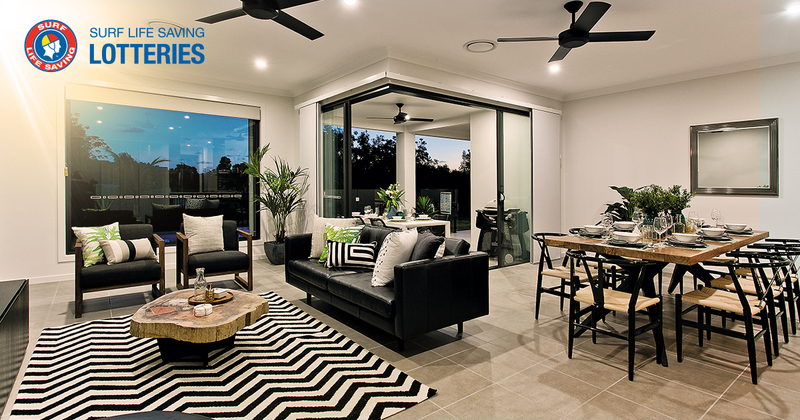 Surf Life Saving Prize Home Lottery gives you the opportunity to support this service. Plus, enter the draw to win fantastic prizes. You can support more by purchasing one of the ticket books on offer. Also, they put you in the draw to also win a range of bonus prizes!